Manage new product features and enhancements in terms of scope, quality, and schedule. Coach, train and mentor all disciplines in agile methodologies.– Work effectively with management and team members to clarify needs and plan delivery of major product changes, future versions and new products. Collaborate cross-functionally and closely with engineering, product management, and quality assurance peers to manage and ship multiple, concurrent projects and provide responsive support to escalated customer issues. Define and iterate product details and paths for implementation. Proactively manage risks, assumptions, issues, and dependencies, ensuring that are identified, mitigated or escalated as necessary. Continually grow skills to enhance your technical expertise Contribute to building a culture where continuous improvement of the agile process is in focus. Review current agile processes, drive process improvements and challenge the teams to innovate. Remove impediments that would prevent the team from achieving its sprint and release goals. Emphasize code quality over quantity. Scrum Master that has successfully helped ship commercial grade software applications. Have a the mentality that you’re there to support and drive your scrum teams. Have previous experience as a developer or as a member of a QA team. Have experience directly participating in software development processes. Able to work as part of a team with minimal supervision in a results-oriented, fast-paced dynamic environment. Detail oriented and have the ability to support multiple initiatives. Provide creative solutions to solving challenging problems. Not afraid to question existing processes and provide ideas for improvement. 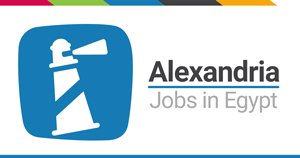 Software Engineer/Cloud Engineer - Alexa..
Software Engineer/Cloud Engineer - Alex..
Senior Software Engineer (Java EE) - Ale..